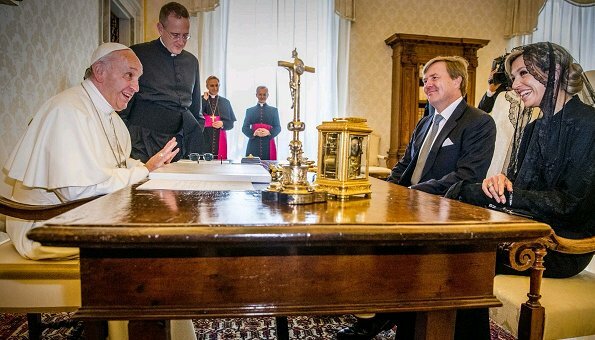 On the 3rd day of their Italy visit, King Willem-Alexander and Queen Maxima of Netherlands visited the Vatican City. 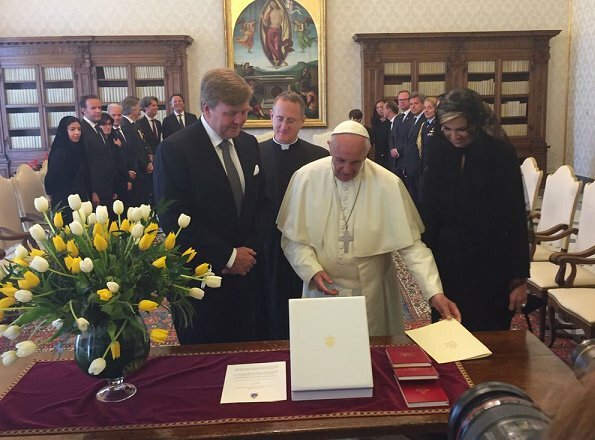 King Willem-Alexander and Queen Maxima attended a special meeting with Pope Francis at the Apostolic Palace on June 22, 2017. I thought as Queen she was allowed to wear white, instead of black? Any comments. She doesn't have the Privilège du blanc. She is marred to a Protestant king. As far as I know only catholic queens are allowed to wear white. And maybe catholic hereditary princesses (hsh Charlene for example). 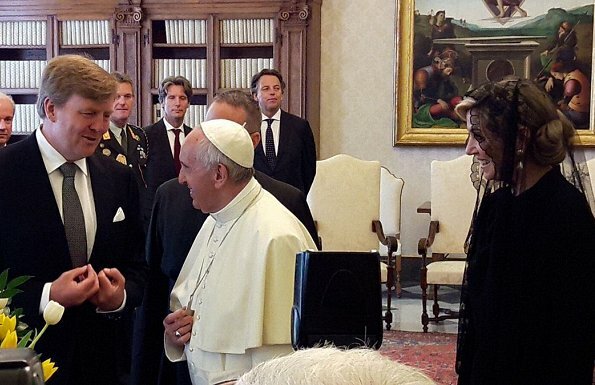 I do not think Charlene has the Privilège du blanc, but this pope wants to keep things more informal. Also Camilla Duchess of Cornwall had white clothes. 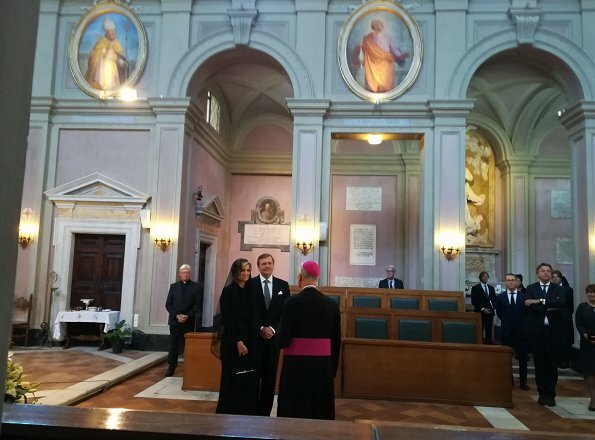 Slde privilège du blanc (Italian: Il privilegio del bianco) is a French term meaning "the privilege of the white" used for a Catholiccustom whereby certain designated women are permitted to wear a white dress and veil during audiences with the Pope. 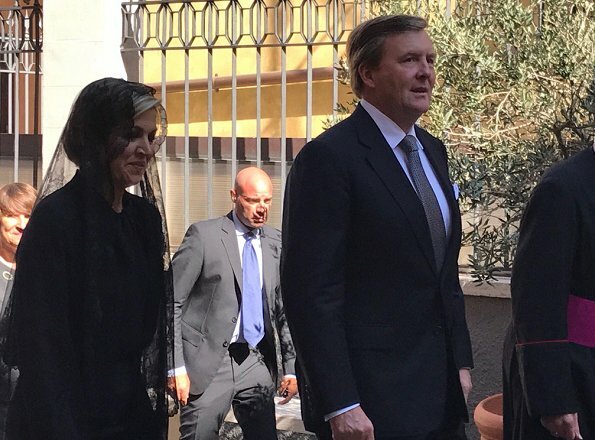 This is an exception to the tradition of women wearing black on such occasions. Those who have been permitted to wear white include the Queens of Belgium, Italy and Spain, the Grand Duchess of Luxembourg, and the princesses of the House of Savoy. Thank you for the insight. I did not know this rule. Le privilege du blanc is reserved for Catholic Queens, Maxima is married to a Protestant King. Only if she was a queen of a Catholic country. 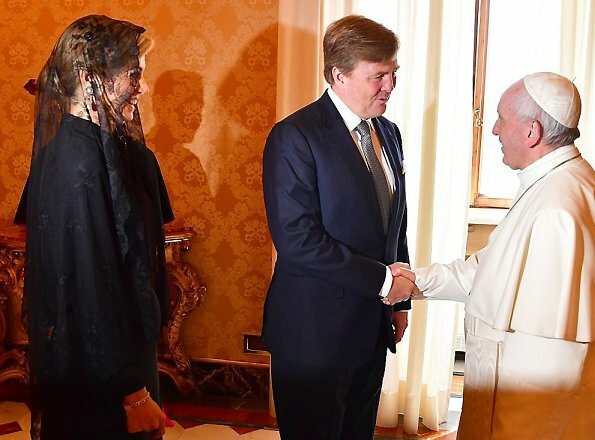 Maxima herself is Catholic, but the Netherlands is a protestant country and so is her husband, the king. 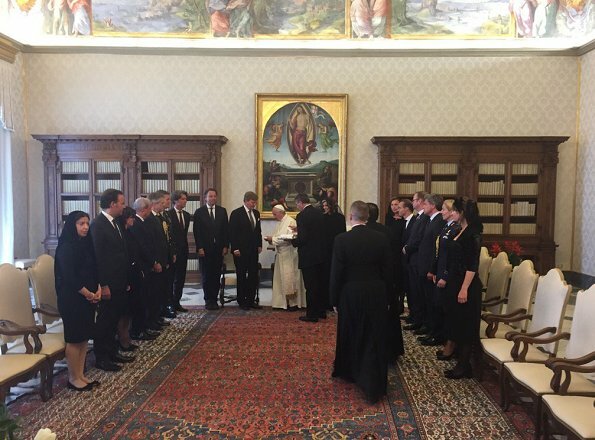 e privilège du blanc (Italian: Il privilegio del bianco) is a French term meaning "the privilege of the white" used for a Catholiccustom whereby certain designated women are permitted to wear a white dress and veil during audiences with the Pope. This is an exception to the tradition of women wearing black on such occasions. Those who have been permitted to wear white include the Queens of Belgium, Italy and Spain, the Grand Duchess of Luxembourg, and the princesses of the House of Savoy. 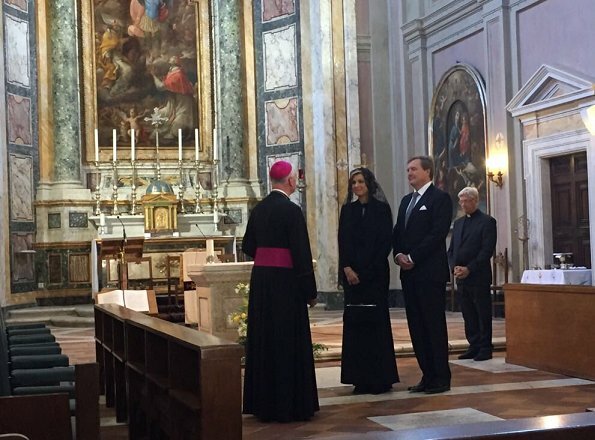 Wearing black or white, it looks like her personality charmed Pope Francis. "It don't matter if you wear black or white." No comment. Before them Mrs. Merkel headed to the Pope. Gaenswein looks old now. And beside this: nothing about Fashion here. Looks like a lot of people were cutting and pasting from Wikipedia. Iana, yes. And I bet they got new holy orders from the Vatican.